SmartEngage is a cross-channel autoresponder tool for marketing automation that helps organizations to increase their average percentage of opens by sending their message at the right time, and through the right platform. The solution automatically links a potential customer’s email with their Facebook Messenger and push notifications, allowing brands to get their message in front of more potential customers. With SmartEngage, users can create powerful rules and sequences that follow specific triggers and actions across email, Facebook Messenger chat bots, and web push notifications. Users can decide what type of messages are sent, and to which customers, by setting up intelligent "If" triggers, conditional blocks or behavior based triggers, and combine “And” / “Or” conditionals to have complete control of whether messages will arrive via email, Facebook Messenger, or a push notification. Conversion tracking tools allow users to track every purchase made by subscribers to instantly know the lifetime value (LTV) of that person. SmartEngage also provides opt-in forms and mobile mailer technology to help organizations grow their list of subscribers, as well as Facebook Lead Ads, Facebook comment automatic replies, and automatic social intelligence to automatically build a list of customers that interact with their business page. Users can track each visitor's subscriber journey to understand their habits, and get full insight into the messages that are being opened, clicked, pages visited, and more. SmartEngage also enables smart newsletter broadcasts that allow brands to send their message on the platform they want their subscriber to see it, and automatically resend an email that doesn't get opened after a certain amount of time has passed with an alternate subject line. Users can also choose to send it using an alternate platform to increase the chances that the message will be seen. Additional SmartEngage features include SmartClean technology which runs every email through its system to sift out any potential harmful bots, typos, spam traps, and more. Best money we have spent on software. We were using infusionsoft and before that we used Aweber with chatfuel and zapier just to ATTEMPT to make them “talk” to each other. It was a nightmare of confusion and nothing working right together. It wasn’t until we found SmartEngage that we have been able to truly put our leads and sales process on autopilot.You can do things with this tool that nothing else on the market can do. We are using Facebook Messenger ads with keyword triggers that turn into leads. We then use automated chatbots to segment these leads into a few categories and we are able to ask the lead for their email address directly within messenger. Amazing! And, that allows us to then send automated emails. The flow of how this works is on another level and we are beyond ecstatic with how well this works. We also have been using the integrated Facebook Lead Ads option that smartengage provides. Does anyone else know how powerful this option is? We are getting top emails from people on Facebook in just 2 clicks that get inserted right into our smartengage CRM that we then send automated follow ups to. Some of these leads are only costing us 50 cents!, and that is in a pretty touch niche too I might add. You can do things with this tool that nothing else on the market can do. 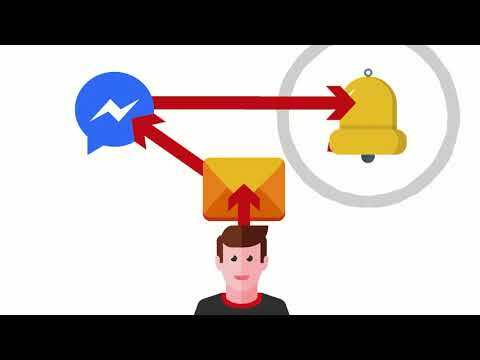 We are using Facebook Messenger ads with keyword triggers that turn into leads. We then use automated chatbots to segment these leads into a few categories and we are able to ask the lead for their email address directly within messenger. Amazing! And, that allows us to then send automated emails. The flow of how this works is on another level and we are beyond ecstatic with how well this works. We also have been using the integrated Facebook Lead Ads option that smartengage provides. Does anyone else know how powerful this option is? We are getting top emails from people on Facebook in just 2 clicks that get inserted right into our smartengage CRM that we then send automated follow ups to. Some of these leads are only costing us 50 cents!, and that is in a pretty touch niche too I might add. None! No cons as this software is great! SmartEngage has allowed our website to grow to over 300,000 subscribers across email, Facebook Messenger, and web push notifications. As a result our ability to reach our list of players has never been better. This is absolutely the best piece of software you can get in order to reach your customers and gain new leads.I run the largest fan website centered around the ABC television show, The Bachelor and The Bachelorette. I LOVE how fast I could grow my list by using integrated Facebook Comment Autoreplies, Facebook Lead Ads, and Facebook Messenger Chatbots. I was also able to create a viral loop effect by tying in web push notifications as well. I created a Facebook Ad and it went viral with tons of likes, shares, comments etc. One of the best things about SmartEngage is we were able to link that post to our smartengage chatbot so that anytime someone new left a comment on that post my page would automatically send them a message to be friendly and see if they were going to watch the show this season. We were then able to turn many of those interested people into registered users all on 100% autopilot. I run the largest fan website centered around the ABC television show, The Bachelor and The Bachelorette. I LOVE how fast I could grow my list by using integrated Facebook Comment Autoreplies, Facebook Lead Ads, and Facebook Messenger Chatbots. I was also able to create a viral loop effect by tying in web push notifications as well. I created a Facebook Ad and it went viral with tons of likes, shares, comments etc. One of the best things about SmartEngage is we were able to link that post to our smartengage chatbot so that anytime someone new left a comment on that post my page would automatically send them a message to be friendly and see if they were going to watch the show this season. We were then able to turn many of those interested people into registered users all on 100% autopilot. Nothing stands out so far. As long as you go through the tutorials and articles everything is laid out in a well structured step by step process. I have been using SmartEngage for the last 8+ months in my agency and since that time our cost per lead has decreased significantly. Our ability to automatically acquire leads, segment them, and follow up with them using email, Facebook chatbots, and web push notifications has allowed our company to grow even while we sleep. Highly Recommended!Cross-channel automation that is simply not possible in any other software. Amazing Inbox Rate. Facebook chatbots are perfect for segmenting, and lead acquisition. Loving the integrated Facebook Lead Ads. Web push notifications are working extremely well for us too. Cons: I have been an early user so I have seen how far the platform has come. It was a bit overwhelming at first, but at the present stage it is very intuitive and well documented in their articles. Support is also top rate! Cross-channel automation that is simply not possible in any other software. Amazing Inbox Rate. Facebook chatbots are perfect for segmenting, and lead acquisition. Loving the integrated Facebook Lead Ads. Web push notifications are working extremely well for us too. Cons: I have been an early user so I have seen how far the platform has come. It was a bit overwhelming at first, but at the present stage it is very intuitive and well documented in their articles. Support is also top rate! I have been an early user so I have seen how far the platform has come. It was a bit overwhelming at first, but at the present stage it is very intuitive and well documented in their articles. Support is also top rate! Unifying my whole marketing platform into a single, streamlined website; removing all other subscriptions to other platforms as SmartEngage encompasses them all.SmartEngage combines all the necessary tools to give marketers / business' a single outlet for all of their optins, emails, Facebook Messenger needs. Everything is combined into a single, unified platform; for a straight monthly fee. Previously, I had subscribed to many services in order to capture all of the advantages that SmartEngage offers in a single platform. After finding them, i'm saying money and improving efficiency. Great product, great service, great support. SmartEngage combines all the necessary tools to give marketers / business' a single outlet for all of their optins, emails, Facebook Messenger needs. Everything is combined into a single, unified platform; for a straight monthly fee. Previously, I had subscribed to many services in order to capture all of the advantages that SmartEngage offers in a single platform. After finding them, i'm saying money and improving efficiency. Great product, great service, great support. Need more templates, however I know that they're working on it. This is a beautifully designed software with the perfect mix of functionality and ease of use. Syncing email, push notifications and messenger bots allow you to follow up with people in a more elegant and effctive way. I hesitate to see any real issues, however, I do wish that SMS text messaging was integrated into the mix, however, it can be loosely integrated through 3rd party services. I hope they add this in the future. Thank you so much for your valuable feedback Josh. HIGH VOLUME: Calculate pricing via the website. • Send customers the message they need, at the time they need it, on the platform they will see it with SmartEngage. • Track every purchase each subscriber makes and instantly know the Lifetime Value (LTV) of that person. • SmartEngage gives you complete control to build sequences and powerful rules and sequences that run your business autopilot. • Intelligent "If" triggers and conditional blocks dictate what happens in your automation sequences, allowing you to decide what messages get sent and who receives them. • SmartEngage integrates with all your favorite platforms including Zapier, Salesforce, Instapage, Stripe, PayPal, Authorize.net, Shopify, Wanacast, and more. Below are some frequently asked questions for SmartEngage. Q. What type of pricing plans does SmartEngage offer? Q. Who are the typical users of SmartEngage? Q. What languages does SmartEngage support? Q. Does SmartEngage support mobile devices? Q. Does SmartEngage offer an API? Yes, SmartEngage has an API available for use. Q. What other apps does SmartEngage integrate with? Q. What level of support does SmartEngage offer?